In order to start using Reddit like a pro How To Use Reddit Like an Old Pro How To Use Reddit Like an Old Pro There are plenty of online communities which can be found on the Internet - Facebook, Twitter, Google+ and YouTube are easily the most popular and recognizable ones. However, there are plenty of other gems online... Read More , you need to locate and subscribe to specific subreddits that fit your interests. That’s the first step towards learning to use Reddit productively How To Use Reddit Productively. Yes, You Read That Correctly. How To Use Reddit Productively. Yes, You Read That Correctly. Reddit’s just a huge timesink? Wrong. It’s an endless supply of relevant information, if you know where to look. 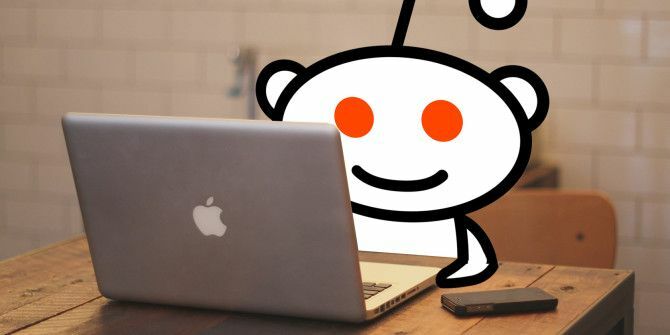 Here’s how to use Reddit more productively. Read More and even Reddit improving your life A Life Less Ordinary: 7 Places on Reddit for Your Own Personal Growth A Life Less Ordinary: 7 Places on Reddit for Your Own Personal Growth What better place to go to if you are starting to feel that your life is a little less than ordinary. Tell us if these subreddits help you think about your own personal development. Read More . There are several different ways to find subreddits 5 Ways To Find The Best Obscure Subreddits On Reddit 5 Ways To Find The Best Obscure Subreddits On Reddit Since its surge in popularity in 2006, Reddit has truly become the epicenter of social news and information. We're in an age where the newspaper is gradually inching towards extinction as more and more people... Read More these days, and these methods are just fine for finding popular and sociable communities to join The Most Sociable Subreddits and How to Find Them The Most Sociable Subreddits and How to Find Them Read More , but they don’t always lead you to the most interesting subreddits out there. That’s when this strange other method comes in handy. Open the left sidebar on Reddit. Under multireddits, click Create. Enter any name for the new multireddit and click Create again. In the right sidebar, click the text field that says add subreddit and start typing anything. You’ll see a dropdown menu with subreddit suggestions that match what you type. Have fun and type all kinds of terms and phrases. Explore the suggestions, add any that seem interesting, and if they don’t fit your tastes, remove them. That’s it! It’s a bit crude, I know, but I’ve found a few cool subreddits this way so I know you’ll probably find a few yourself. Give it a try and let us know how it goes! What’s your favorite way to find new subreddits? Share with us in the comments below. Imgur.com/r/_(name of subreddit)__ if you want 98% of the content without the deeply awful layout and even worse userbase. Oh balls! Stupid thing doesn't show emoticons!